Please use search button to see if someone already created a thread on it. Describe your thread briefly depicting your problem. 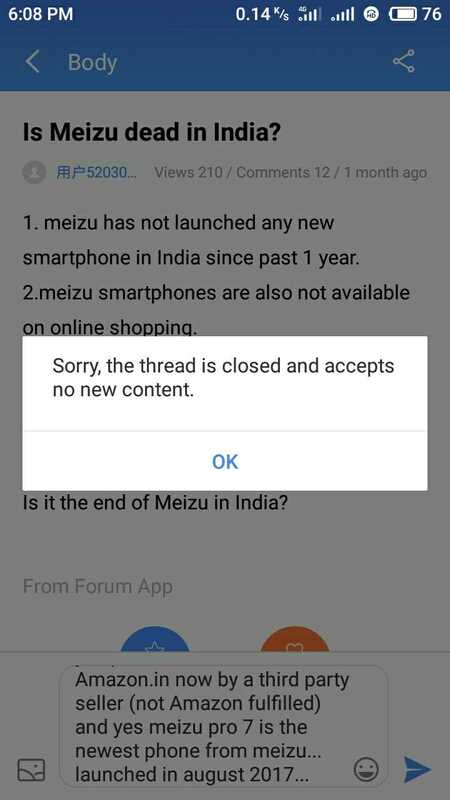 Always mention the firmware version [Flyme OS Version]. Some bugs are firmware specific and already found. Threads having very short explaination will be deleted without prior warning to Author. Respect other Users. Use of foul language is strictly prohibited. Try your best to speak in english so that everyone can help you. Please follow the above rules and maintain dignity of Forum. Feel free to P.M. me and ask your queries. The moderator has closed this thread due to some reasons maybe it was misleading.